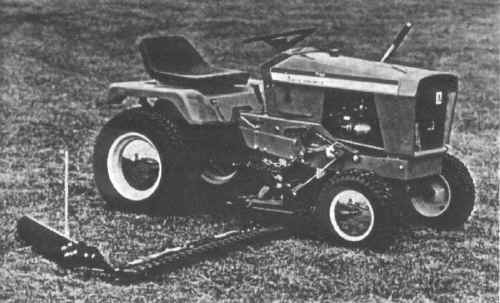 The mower attaches to the front axle and uses the tractor's lift system to raise and lower the bar. The unit is driven from the center PTO cone clutch just as the rotary mowers are. It has open faced guards and includes a chain for holding the cutter bar in an upright transport position.